Apple’s marketing campaign for the new Apple TV revolved heavily around apps and video games, interactive elements which the company thinks represent the future of TV as we move away from the traditional “static” living room. And in order for the experience to be as intended, users must first become acquainted with the way devices work with Apple TV. That means learning about the different ways you can control your Apple TV as well as the limitations regarding the connected devices. Let us start with what kinds of devices you can connect to your Apple TV. As far as gaming goes, users can play with their Siri Remote, a third-party Made For iPhone (MFi) controller and an iOS device like the iPhone or iPad. Apple TV does not support third-party keyboards but it does allow for headphones. There are some limitations in the number of devices you can connect, however. More specifically, only two Bluetooth devices can be connected at a time so you can only have two third-party controllers or a single controller with headphones. Only one Siri Remote can be connected in the same device so you cannot play multiplayer games with additional ones. Apple only requires the Siri Remote to be supported by all developers so whether they also support MFi controllers and iOS devices or not depends entirely on them. Most developers will support at least one of them but you will definitely run into the occasional outliners that won’t. 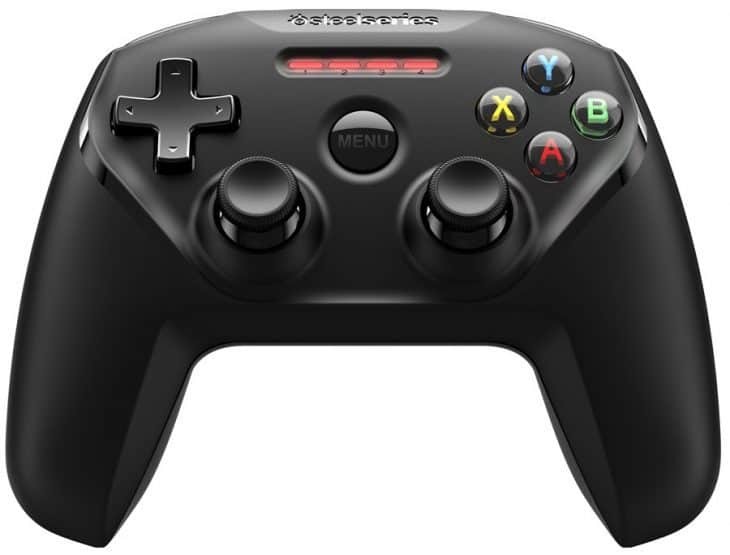 All MFi controllers work with the Apple TV so if you are really interested in gaming with a controller you can try out a cheap one first and see how it goes. Two controllers and a Siri Remote will allow you to play multiplayer games with two more friends or even a third one if the game allows for iOS devices too. 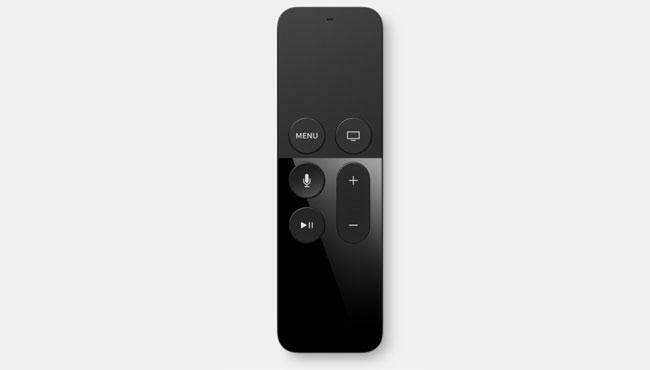 For general purposes, the best way to control your Apple TV is undoubtedly the Siri Remote. This is the only way you can use Siri and the remote feels very responsive after a while. On that note, those of who you are used to navigating gaming consoles may find the controller better as it will probably feel more familiar. The only function you cannot access with an MFi controller is Siri but a lot of people will not care about that. In the future, you will also be able to use your iOS device to control the TV via Apple’s Remote app but unfortunately it has not been updated at this time which means it does not support the fourth-generation Apple TV. Now that you are hopefully more familiar with the devices that work with Apple TV, it is probably time to learn how to connect them to the set-top box. The process is more or less the same for all Bluetooth devices though there may be slight differences depending on the product. 1. Start by opening the Settings of your Apple TV. 2. Continue by going to the Remotes and Devices menu. 3. It is a good idea to turn on your Bluetooth devices before moving on. Do note that some devices have a button to power up and a separate button that activates Bluetooth. If that is the case with your own device, make sure to press both. 4. Select the Bluetooth option and wait for a bit until Apple TV sees your device. Whatever you are trying to connect should appear under “Other Devices” with its own name. In case you do not see your device, turn it off and on again to force a second scan. 5. The moment you see your device appearing on the list, click on it and it should be automatically paired with Apple TV. 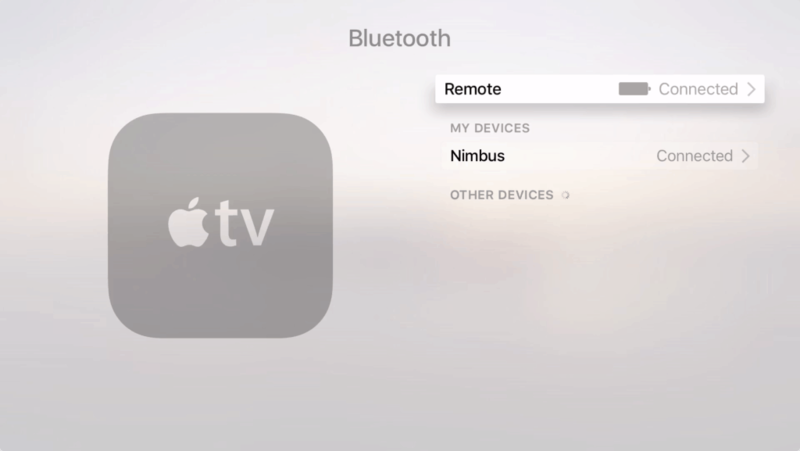 Connectivity issues with Bluetooth devices: Sometimes, users are unable to connect their Bluetooth devices to Apple TV. When this happens, Apple TV will most likely fail to see your device in the list so you will not be able to pair it. In other occasions, your device may appear to be connected but without functioning properly. The easiest way to solve these problems is to select your device under the Bluetooth menu and tap on the “Forget Device” option. This will force your Apple TV to pair up with your device all over again and thus fixing connectivity issues in the process. Siri Remote fails to control volume: Your Apple TV should automatically set up the Siri Remote with your TV regardless of whether it supports HDMI-CEC or not. Manu manufacturers include HDMI-CEC support with completely different names such as Bravia Link, Anycast, SimpLink and more so make sure to check the model of your TV and fiddle around the settings in order to take advantage of the feature. Even devices that do not support the standard should automatically work but if you are having issues then you should go to Settings > Remotes and Devices > Volume Control and select the “Learn New Device” option. Your Apple TV will provide you with on-screen instructions on how to program the Siri Remote to control the volume so follow the provided steps and you will be done in no time. Checking the battery levels of your devices: Both the Siri Remote and your MFi controllers operate with batteries. Apple promises that the remote only needs to be charged “a few times per year” with regular usage though your experience will probably vary quite a lot. To check the battery level of your devices, go to Settings > Remotes and Devices > Bluetooth and select a product from the list. The process is not exactly an intuitive one but it is the only way to get a quick overview of the battery levels so you can check whether your devices need to be charged or not.